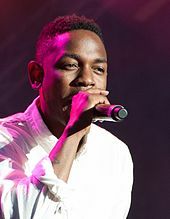 In 1995, the Academy announced the addition of the award category Best Rap Album. The first award was presented to the group Naughty by Nature at the 38th Grammy Awards the following year. According to the category description guide for the 52nd Grammy Awards, the award is presented for "albums containing at least 51% playing time of tracks with newly recorded rapped performances". Award recipients often include the producers, engineers, and/or mixers associated with the nominated work in addition to the recording artists. As of 2019, Eminem holds the record for the most wins in this category, with six. Lauryn Hill was the first female artist to win in this category, when she won in 1997 with the Fugees. Cardi B became the first solo female rapper to win for Invasion of Privacy. 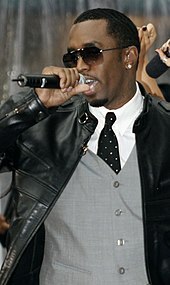 Kanye West was presented the award four times, and the duo known as Outkast received the award twice. 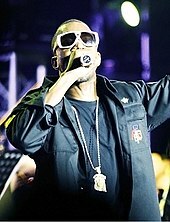 Jay-Z holds the record for the most nominations, with eleven. 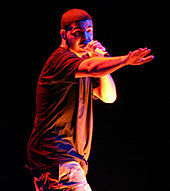 Drake became the first non-American winner in this category when he won in 2013. The Roots have received the most nominations without a win, with five. 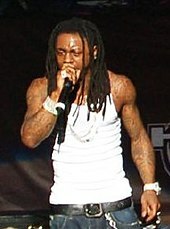 Eminem and West are the only artists to win the award in consecutive years, with Eminem achieving the feat twice. In 2016, Drake's If You're Reading This It's Too Late became the first mixtape to get nominated for the award. In 2017, Chance the Rapper's Coloring Book became the first mixtape to win the award. T.I. – T.I. vs. T.I.P. "Past Winners Search". National Academy of Recording Arts and Sciences. Retrieved March 4, 2011. Note: User must select the "Rap" category as the genre under the search feature. "Grammy Awards: Best Rap Album". Rock on the Net. Retrieved July 30, 2010. ^ Lambropoulos, Dinos (May 25, 1995). "Grammy Awards will stay in Los Angeles". The Daily Gazette. Schenectady, New York. p. C6. Retrieved October 22, 2010. ^ "52nd OEP Category Description Guide" (PDF). National Academy of Recording Arts and Sciences. p. 3. Archived from the original (PDF) on October 27, 2009. Retrieved February 14, 2011. ^ "Grammy Award Winners". National Academy of Recording Arts and Sciences. Archived from the original on January 18, 2010. Retrieved February 16, 2011. Note: User must select the "Rap" category as the genre under the search feature. 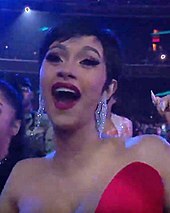 ^ "Cardi B becomes first solo female artist to win Best Rap Album at Grammys". Entertainment Weekly. February 10, 2019. Retrieved February 10, 2019. ^ Strauss, Neil (January 5, 1996). "New Faces in Grammy Nominations". The New York Times. The New York Times Company. Retrieved October 22, 2010. ^ "The Complete List of Nominees". Los Angeles Times. Tribune Company. January 8, 1997. p. 4. Retrieved February 16, 2011. ^ Strauss, Neil (January 7, 1998). "Grammy Nominations Yield Surprises, Including Newcomer's Success". The New York Times. The New York Times Company. p. 2. Retrieved October 24, 2010. ^ "Lauryn Hill, Shania Twain, and Sheryl Crow win the most nods". Entertainment Weekly. Time Inc. January 5, 1999. ^ "42nd Annual Grammy Awards nominations". CNN. January 4, 2000. Archived from the original on July 22, 2012. Retrieved October 22, 2010. ^ "43rd Grammy Awards". CNN. February 21, 2001. Archived from the original on November 6, 2008. Retrieved August 6, 2010. ^ Basham, David (January 17, 2002). "Got Charts? 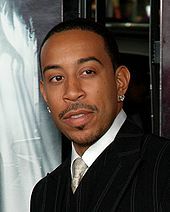 Outkast's Grammy Outlook; Linkin Park Go For Gold". MTV. Retrieved October 24, 2010. ^ "Grammy nominees and winners". CNN. February 24, 2003. Retrieved February 16, 2011. ^ "Grammy Award nominees in top categories". USA Today. Gannett Company. February 7, 2005. Retrieved October 22, 2010. ^ "The Complete List of Grammy Nominations". The New York Times. The New York Times Company. December 8, 2005. p. 2. Retrieved October 22, 2010. ^ "The 2007 Grammys: Winners and Nominees". The New York Times. The New York Times Company. January 29, 2007. Retrieved October 24, 2010. ^ Kot, Greg (December 6, 2007). "Kanye West, Amy Winehouse lead Grammy nominations". Chicago Tribune. Tribune Company. Retrieved October 24, 2010. ^ Stout, Gene (February 6, 2009). "Grammys Awards: Who will perform, who will win, who should win". Seattle Post-Intelligencer. Hearst Corporation. Retrieved October 22, 2010. ^ "Grammy countdown: Is Eminem's 'Relapse' a lock for best rap album?". Los Angeles Times. Tribune Company. January 19, 2010. Retrieved October 24, 2010.